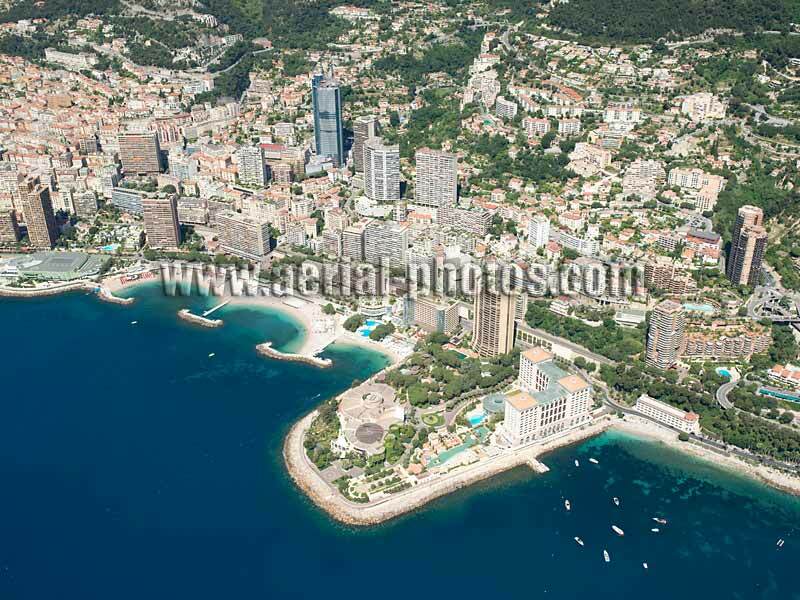 AERIAL PHOTO Monte-Carlo, Monaco, French Riviera. Vue aérienne. 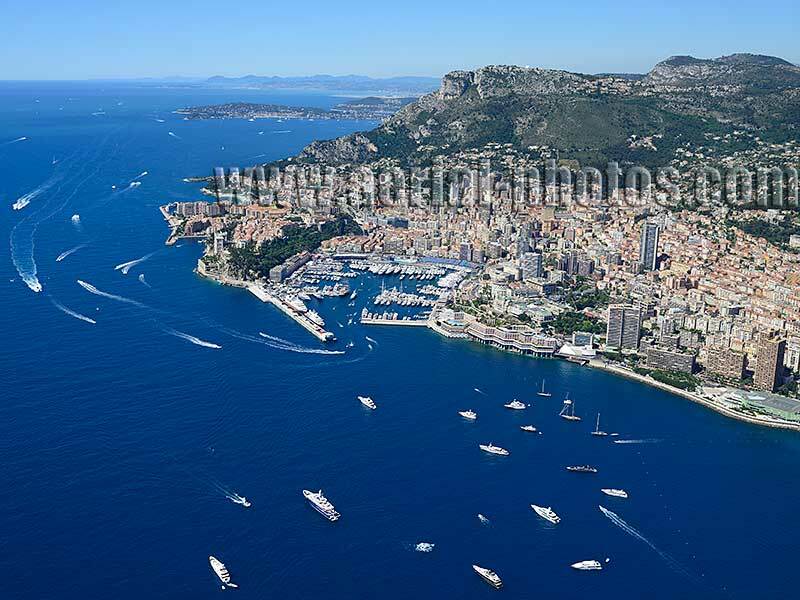 Between a 2000-meter-deep sea and 3000-meter-high summits, the city state of Monaco is the country with the world's highest population density. 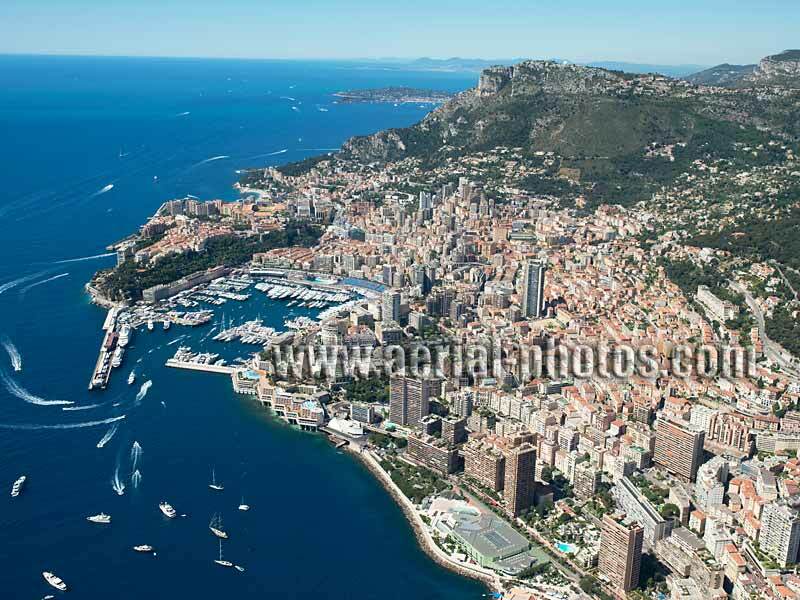 With a land surface of 2.02 km2, the Principality of Monaco is the world's second smallest country. 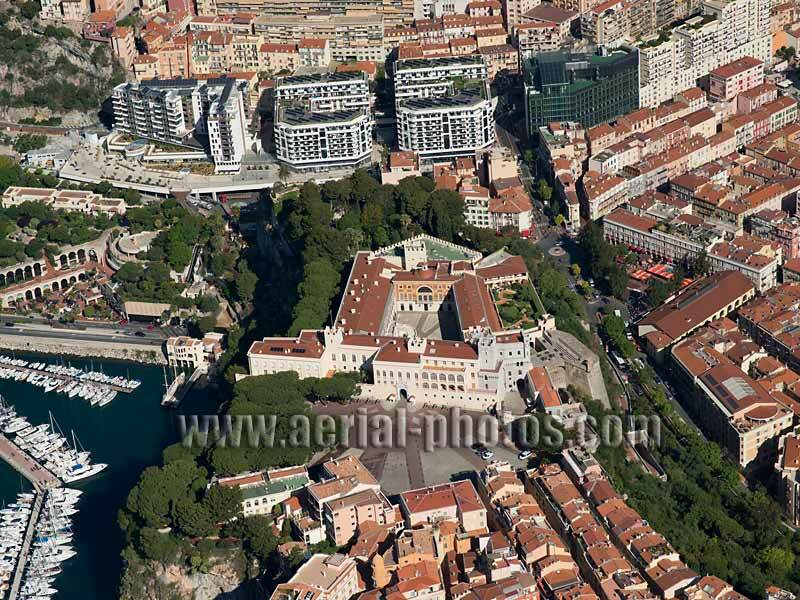 Wards of Larvotto and La Rousse - Saint Roman in the eastern part of Monaco. 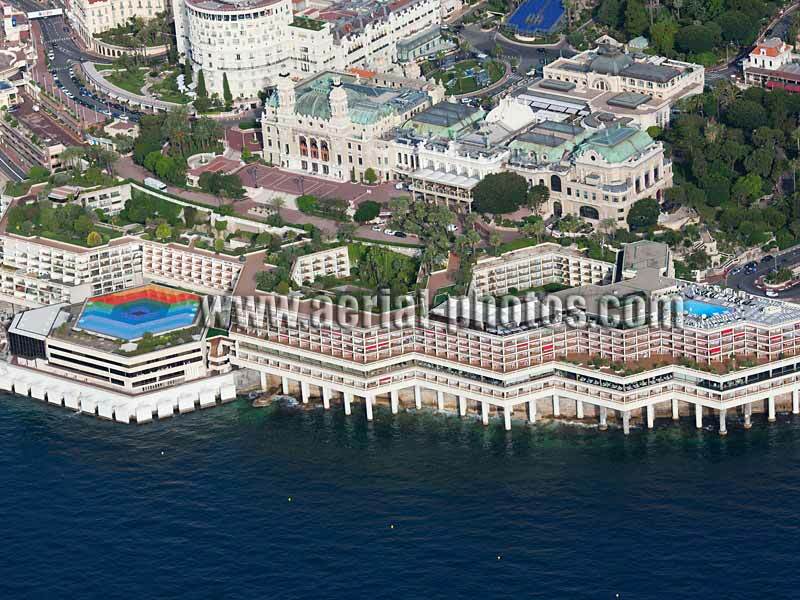 Built on reclaimed land, the Monte-Carlo Bay Hotel & Resort is one of the finest in the Principality of Monaco. 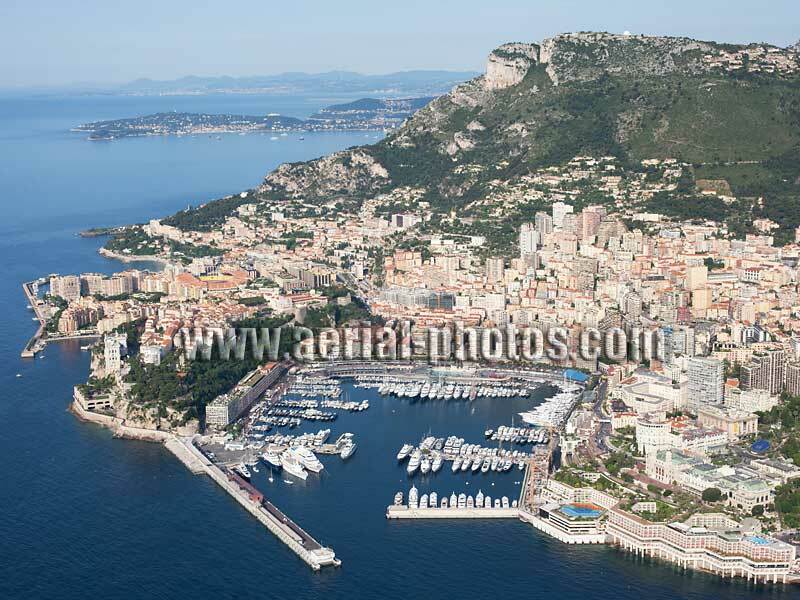 Port Hercule is Monaco's historic and natural harbor. 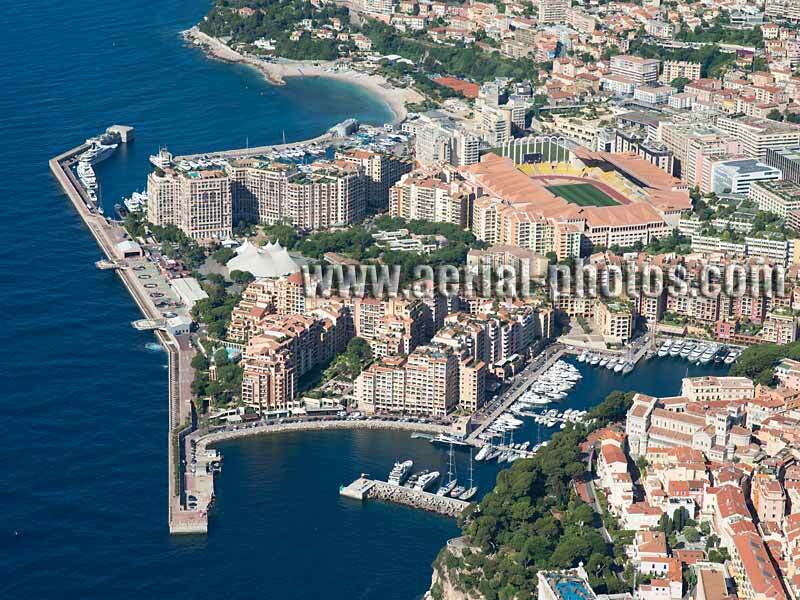 The ward of Fontvieille is almost entirely built on reclaimed land, its surface area is approximately one sixth the size of the Principality of Monaco. 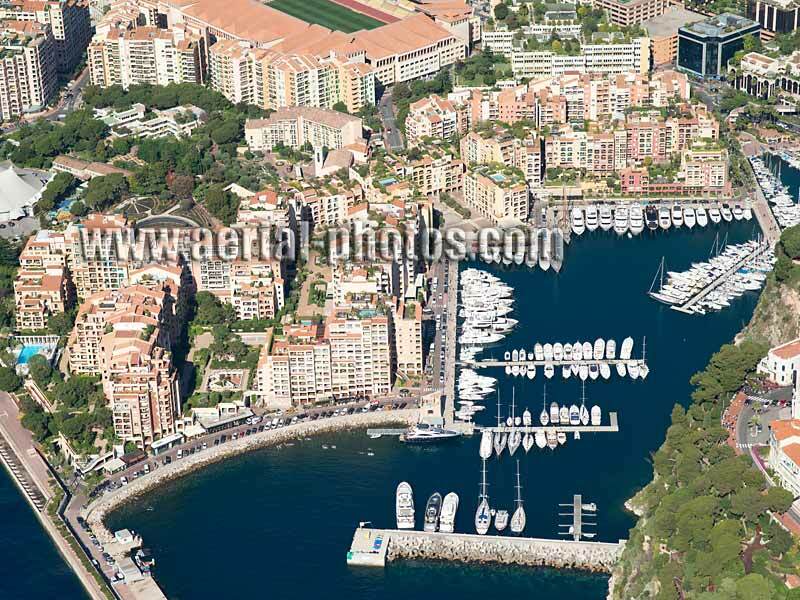 The Marina of Fontvieille was created in the early 1970s alongside the land extension of Fontvieille, Monaco. Although Fontvieille is a ward of Monaco, the marina adjacent to it on its western side is in Cap d'Ail, a seaside resort in France. 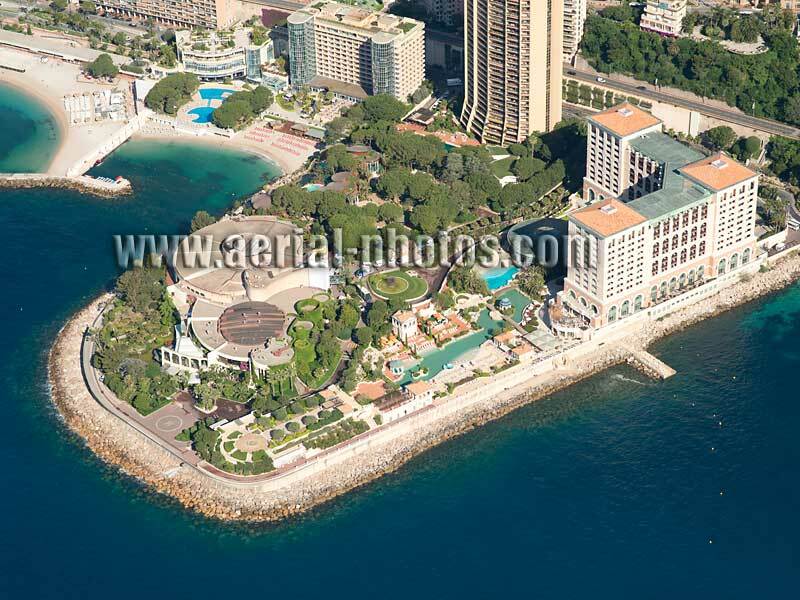 The Fairmont Monte-Carlo is a seaside luxury resort and behind, stands the famous Monte-Carlo Casino. Monaco is a city state dedicated to tourism. 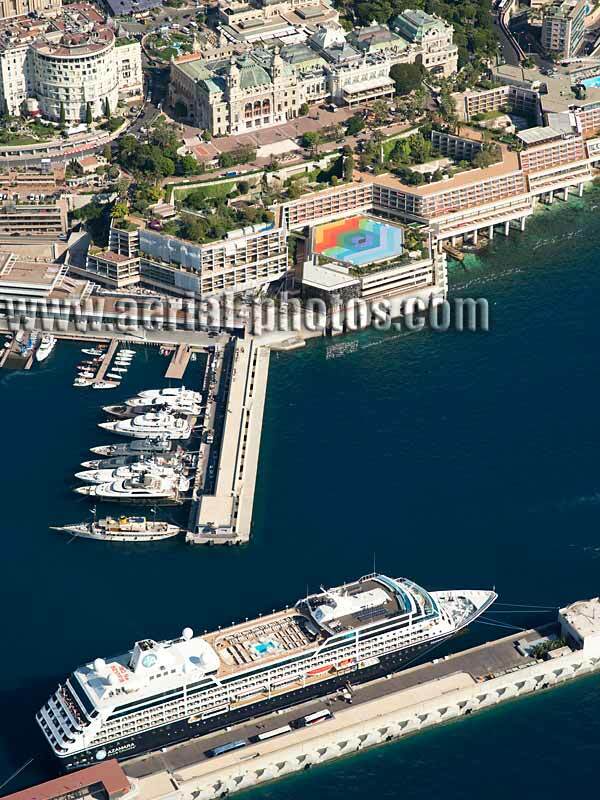 A cruise ship moored to a recently-built floating concrete pontoon stands opposite from the Fairmont Monte-Carlo Hotel and the Casino of Monte-Carlo. 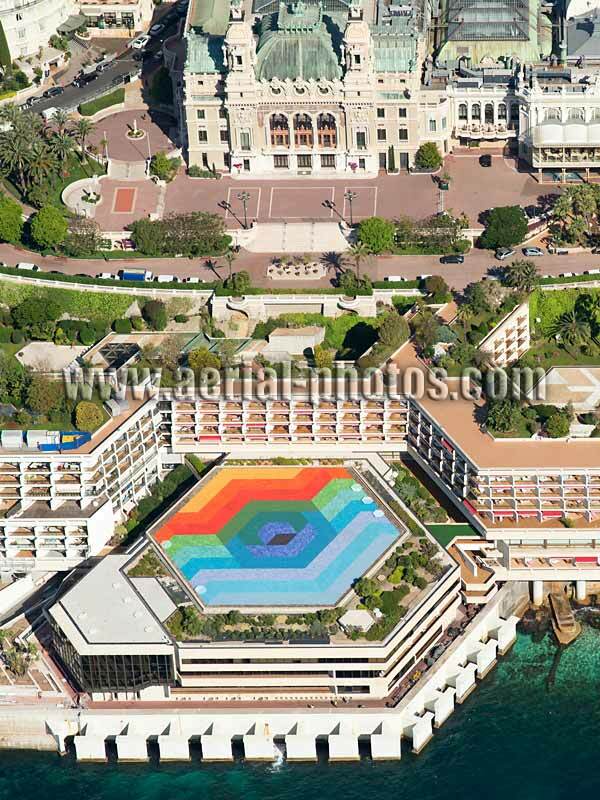 The Fairmont Monte-Carlo Hotel (formerly the Loews Hotel Monte-Carlo) and the Casino of Monte-Carlo. 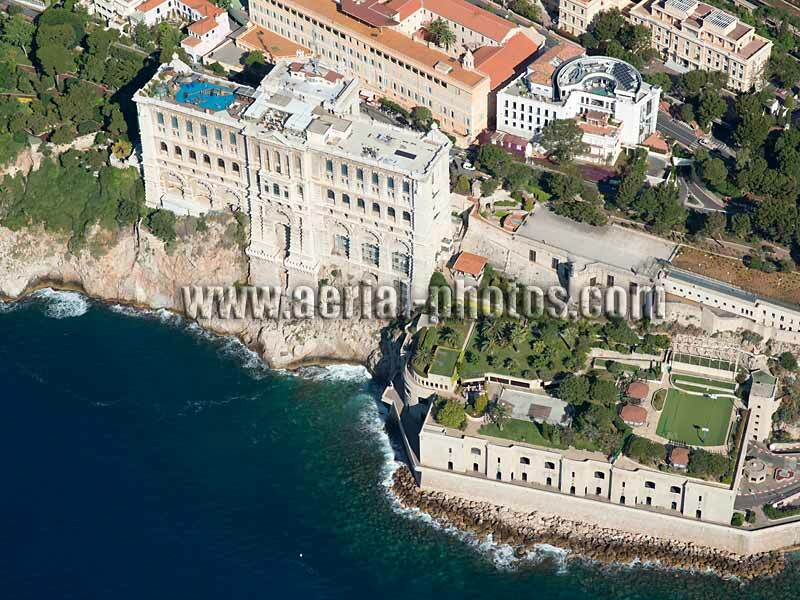 The Prince's Palace is in the ward of Monaco-Ville, better known as "le Rocher". The Prince's Palace is perched on "le Rocher"; a limestone mesa, approximately 60 meters in elevation above the Mediterranean. 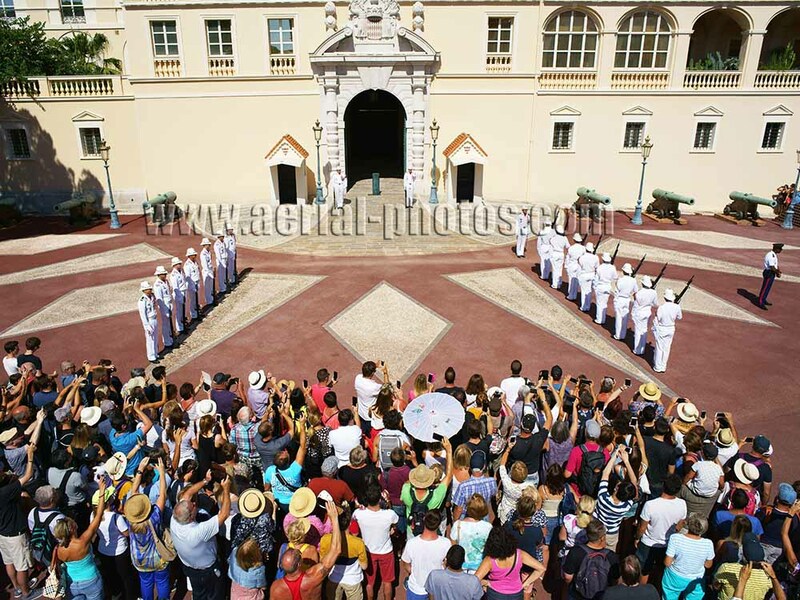 Tourists watching the daily ritual of the changing of the guard in front of the Prince's Palace of Monaco. 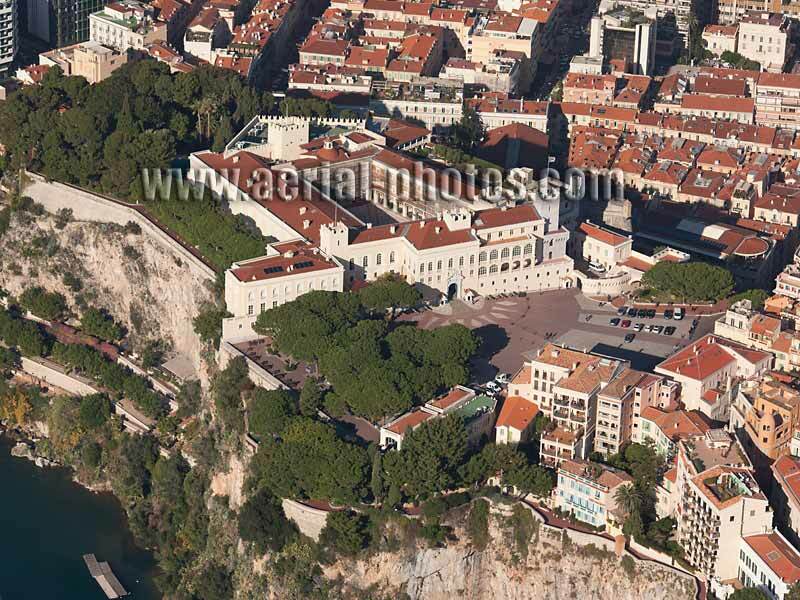 The historic Oceanographic Museum of Monaco and the more recent parking structure on The Rock of Monaco. The imposing seaside facade of the famed Oceanographic Museum of Monaco. 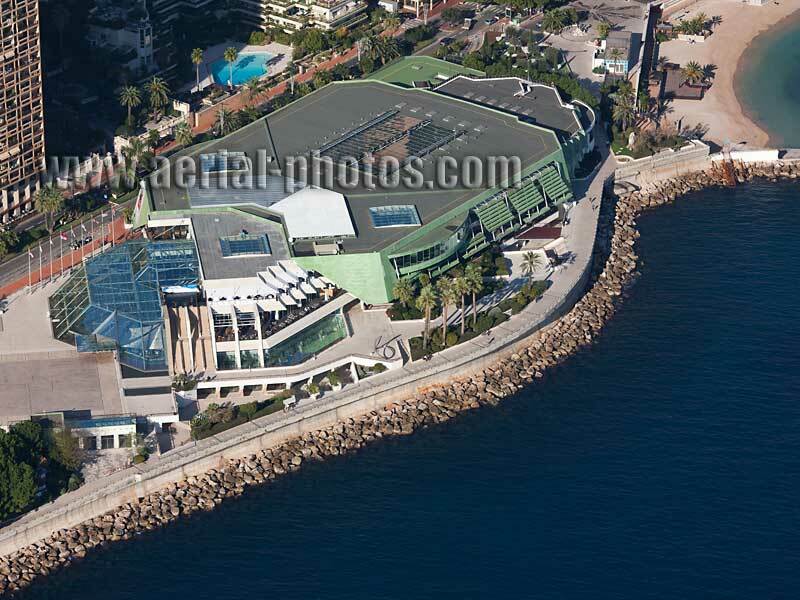 The Grimaldi Forum is the place where Monaco organizes many conferences, congresses, concerts, etc... It is built on reclaimed land and its main stage is at 15 meters below sea level. 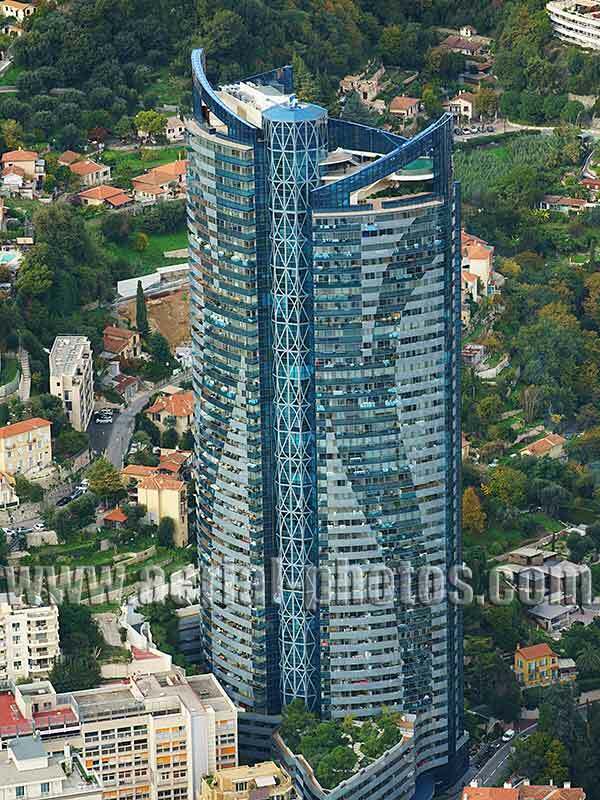 The Odeon Tower with 49 floors and a height of 170 meters is Monaco's tallest residential building. 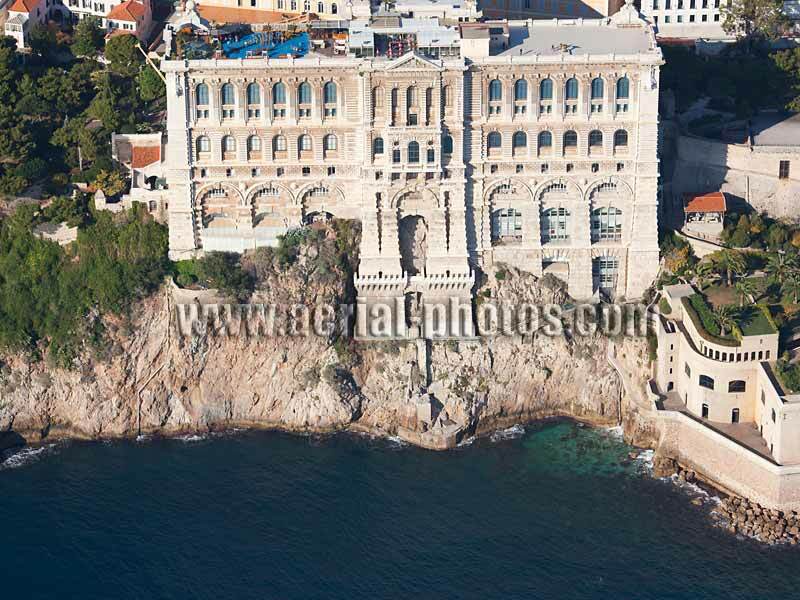 Monaco has the most expensive real estate in the world. In 2017, the average for Monaco was at 53000€ per square meter, the upper floors of the Odeon Tower were high above this average. Nice secluded cove in the overpopulated city state of Monaco. 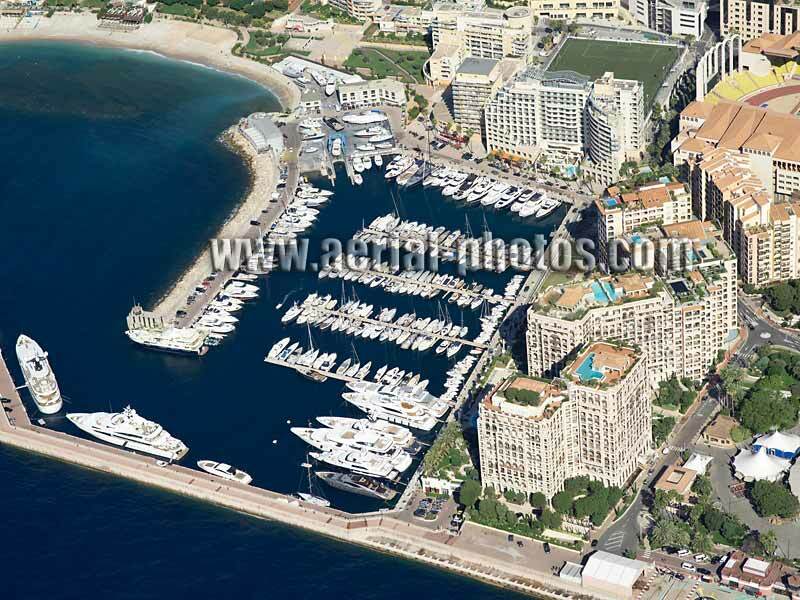 Portier Cove is the newest land extension project in the Principality of Monaco. 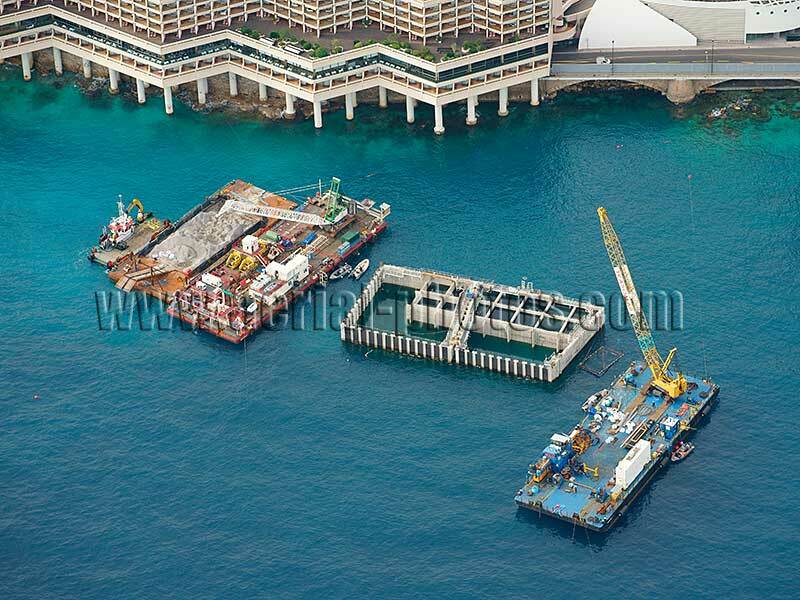 This floating concrete caisson was manufactured in Marseille and towed behind a boat to Monaco. 17 more will be brought and will serve as the seawall of the new ward.